The entries on the web site in this context have, to date, only shown Mondrianesque paintings incorporating animals. But. 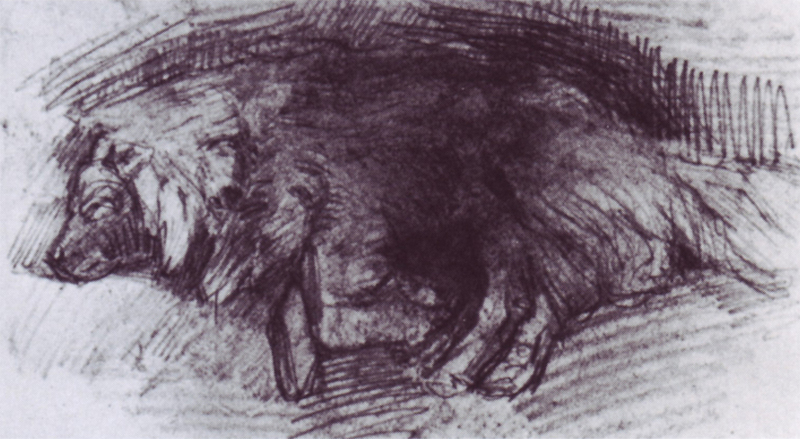 I am reliably informed that Mondrian, while living in The Netherlands, had a pet dog. I had a beer with Charles Darwent, author of Mondrian in London, today (12th July). 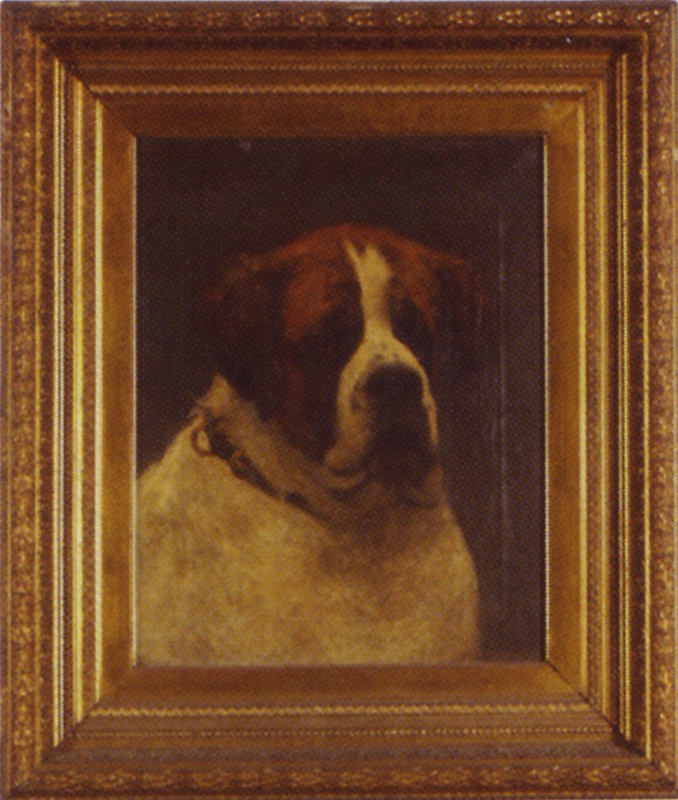 He reports that the Mondriaanhuis has a photograph of PM's dog. The name was (something along the lines of, phonetically) Beppé, though being Dutch the option of a more complex spelling was taken. More news when available and apologies for British linguacentricity. [1st Aug] The Mondriaanhuis has confirmed the story, "Unfortunately we don't have much information on the subject. I can only tell you that Mondriaan owned a dog named Beppie when he lived in Uden en Amsterdam. This would be around 1904-1906. The photo your friend was refering to is not available in digital form and can be found in archives in The Netherlands. 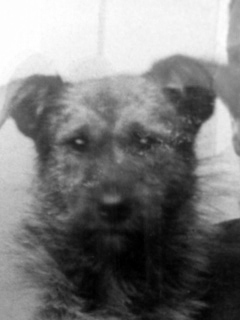 If you decide to look for the photo just should know that it isn't Mondriaan and his dog, bus Albert van den Briel and Mondriaan's dog." 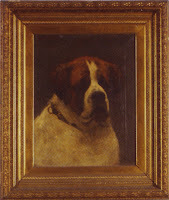 Mondrian painted a dog portrait, A382 Isar Harlemia: A Saint Bernard, 1905-08. 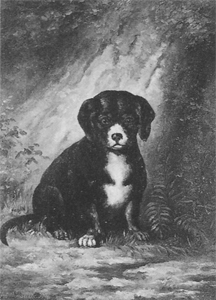 [26Jul12] I have found another, A12 Puppy, 1891. An oil painting, but I only have a B&W image.